Introduced at Baselworld 2016 alongside the new Black Bays in bronze, black PVD and a smaller size, the second generation Heritage Black Bay (ref. 79230) looks much the same as its predecessor at a glance, but is substantively improved, particularly with the newly installed in-house movement. 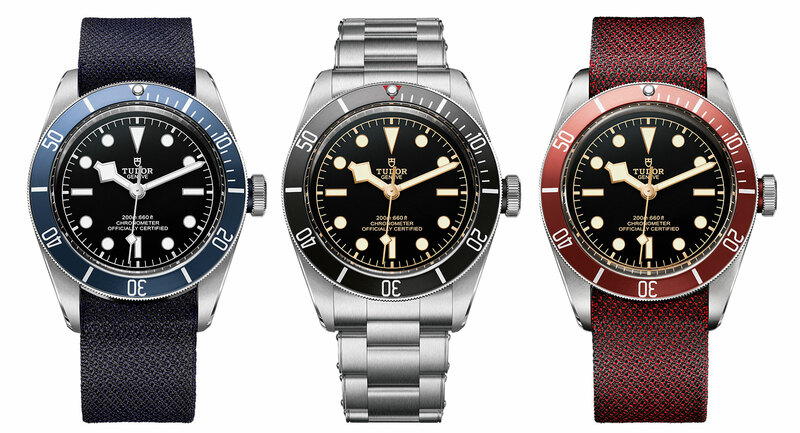 The updates apply to all three variants of the Black Bay – black, red and blue. The most obvious changes are aesthetic, starting with the dial. The retro Tudor rose logo has been done away with, replaced by the shield emblem. 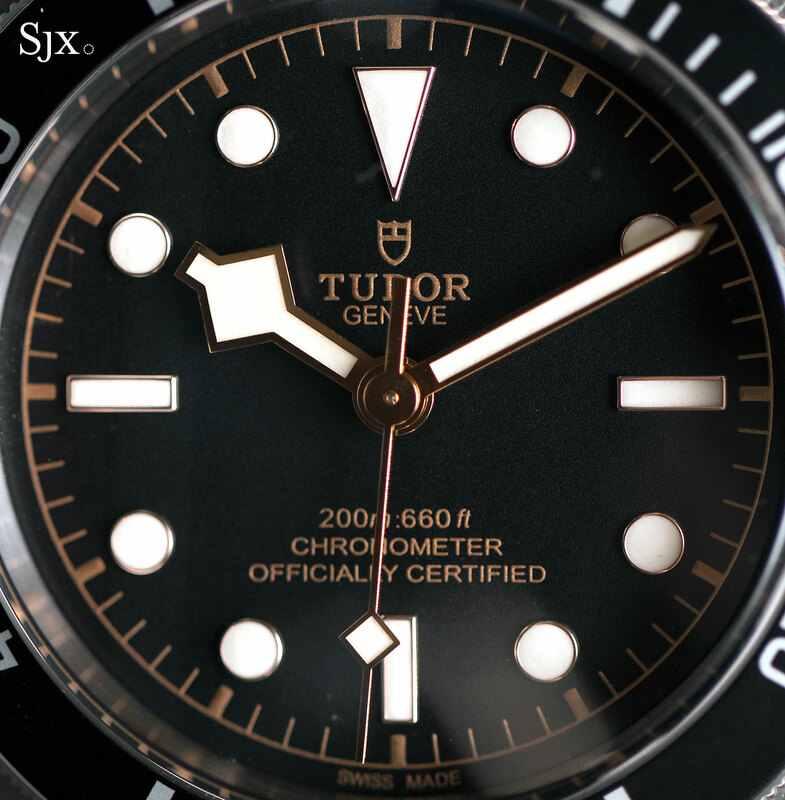 And the curved line of text at six o’clock has been replaced by two straight lines noting the new Black Bay is a COSC-certified chronometer (as are all Tudor’s in-house movements). Together these change give the dial a slightly more modern look. In contrast, the new steel bracelet harks back to the riveted Oyster bracelets of the 1950s and 1960s that are liked for their distinctive look. It features what resemble rivets on each of the links, but in reality are the tops of the bars that hold the links together. And unlike vintage riveted bracelets, the new bracelet links are solid. While vintage rivet bracelets required excessive effort to size, either by pulling out the rivet or unfolding it link itself, the modern bracelet has riveted links only on the fixed link. The removable links closer to the clasp have conventional exposed screws to make link removal easy. While the original Black Bay was powered by an ETA 2824, a robust movement with the drawback of an inconveniently short 38 hour power reserve, the new Black Bay is equipped with the MT5602. Self-winding with a 70 hour power reserve, the MT5602 is a variant of Tudor’s first ever in-house movement that made its debut in the North Flag last year. Beyond the three day power reserve, another notable feature is the non-magnetic silicon hairspring. And the balance oscillates at a conventional 28,8000 beats per hour but is held in place by an less conventional full bridge, a feature found in all Rolex movements and one that improves stability in theory. As a consequence of the in-house movement which is 6.5 mm high, compared to 4.7 mm for the ETA 2824, the new Black Bay is slightly thicker. The case remains exactly the same (with a diameter of 41 mm) but the case back is now slightly domed instead of being flat as in the first generation. On the wrist the difference is not obvious. 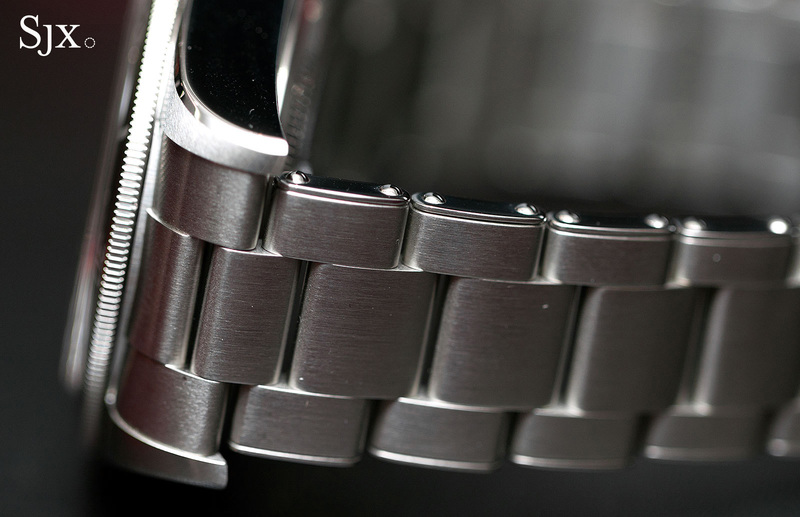 The final tweak to the revamped Black Bay are the new colours for the woven NATO-style straps. Previously only available in black (for the black and red) or blue, the woven strap is now offered in colours matching the bezel – blue for the Black Bay Blue and maroon for the red bezel model. 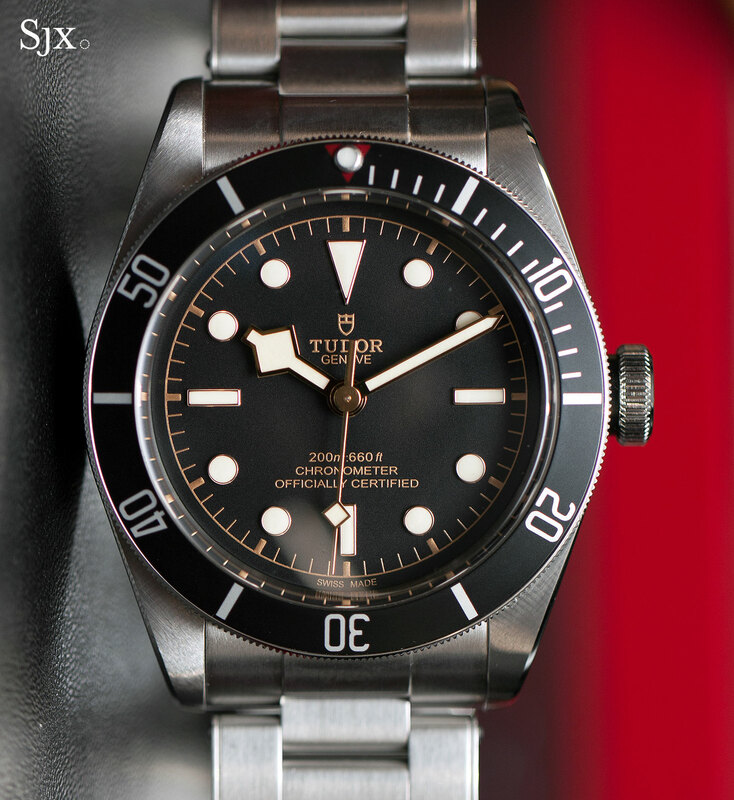 And it is worth noting the updated Black Bay means that the first generation Black Bay Black, which was introduced in October 2015, will have been in production for less than a year, a surprisingly short life for a bestselling, mass produced timepiece. The model references for the new Black Bay are 79230B, 79230N and 79230R for the Black Bay Blue, Black and maroon respectively. 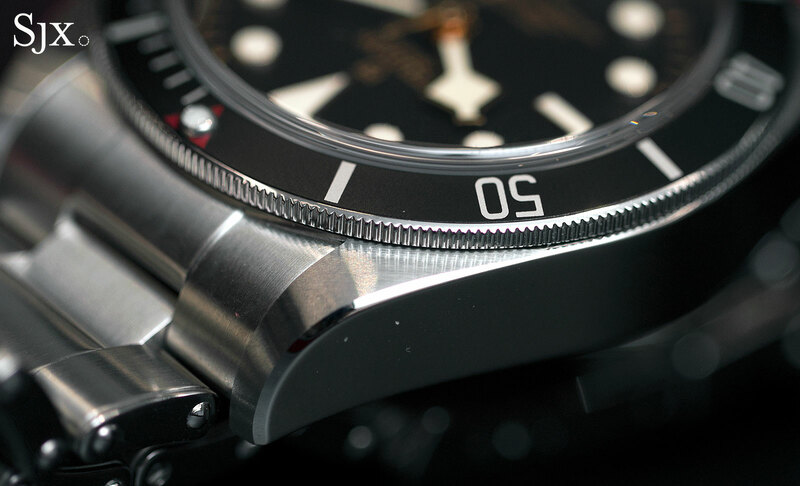 They will reach stores in August 2016, with a price that is a modest SFr250 over that of the outgoing Black Bay. That means the new Black Bay will cost SFr3200 on a leather strap and SFr3500 on a steel bracelet. Both versions are accompanied by an additional woven strap. Correction September 7, 2016: Changed to reflect strap choice with first generation Black Bay.